According to Chris Lacy’s post on the Action Launcher blog, the application has received it’s fourth feature update of the year marked as the 37th version. The last update we talked about added a few features from the Android P Pixel Launcher. This update brings customizable desktop shortcuts among other things. Take a look at the full list of changes and features below. Desktop Shortcuts take Android P’s functionality of long-pressing on the desktop and adds a splash of color to it. 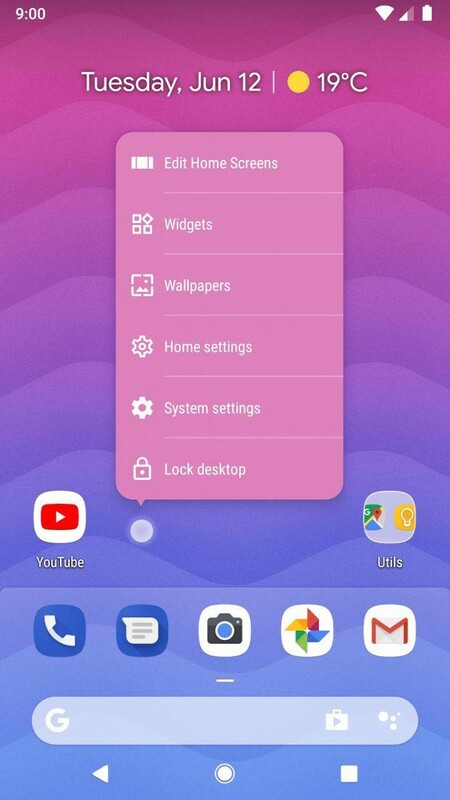 In addition, Action Launcher lets you fully customize its shortcuts. Although the “Dock Dash” (small line above the Search bar) feature from Android P Beta 1 has been removed for the second iteration of the Beta, Action Launcher retains it. The app’s settings have received a UX (User Experience) upgrade. Prior to the update, the process of changing the application’s settings used to be slow and (at times) inclusive of killing and restarting the application. The latest scale for all icons from Pixel Launcher has been included. All apps folders from v35 can now be dragged to the desktop. The “Unread Count” feature has been optimized (rewritten) to occupy less memory and consume lesser juice. The application is now in-line with Android P’s APIs, and bug + stability fixes have been rounded up as well. In addition, you can read the full release notes as well. Download Action Launcher version 37 below.